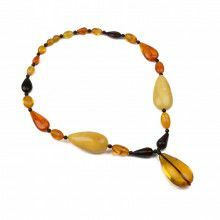 This absolutely stunning Baltic amber necklace is truly a testament to the awe-inspiring beauty of natural amber. 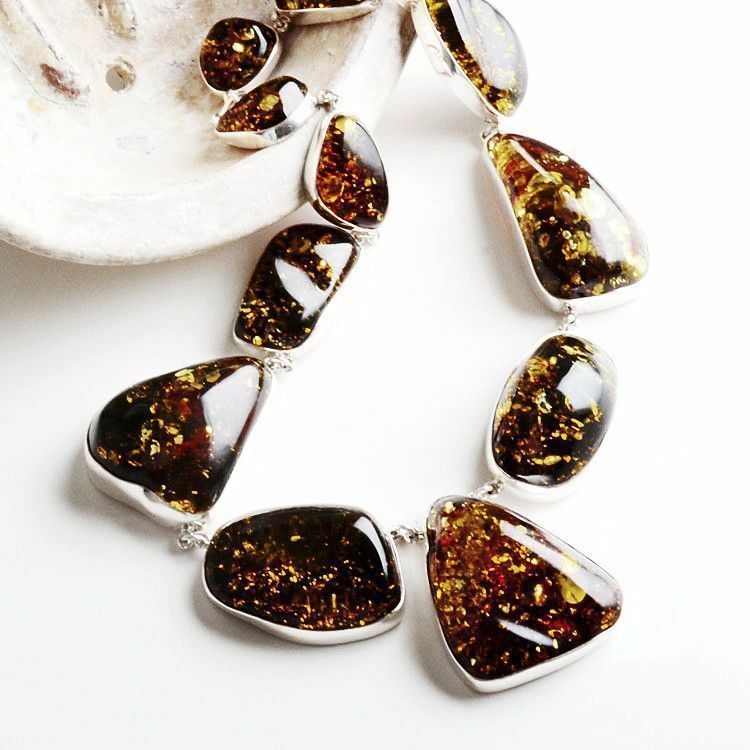 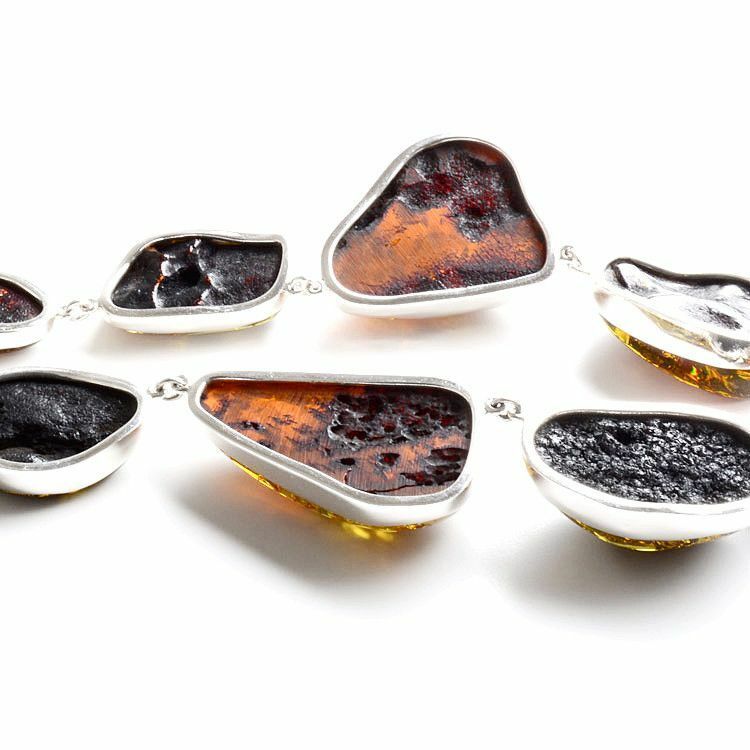 The artist's special handmade design involves amber stones which come from the Baltic region of Russia and are carved to preserve stones natural shapes and curves and polishing them to perfection. 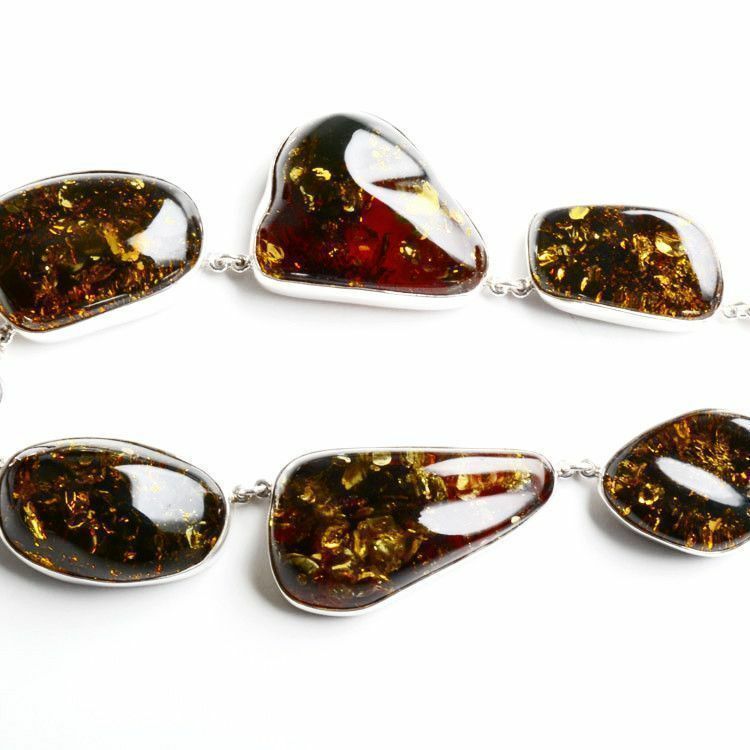 The beautiful dark brown-greenish amber stones range in size from 2" x 1 1/2" to 1" x 3/4". 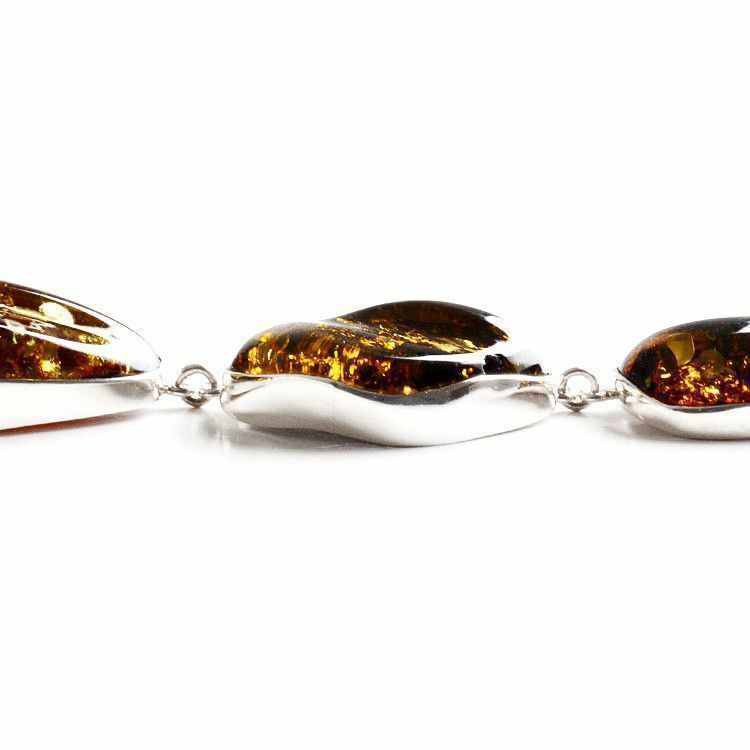 A sterling .925 silver lobster claw clasp hold the precious stones around your neck. 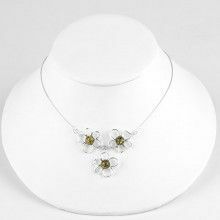 This necklace is indeed one-of-a-kind. 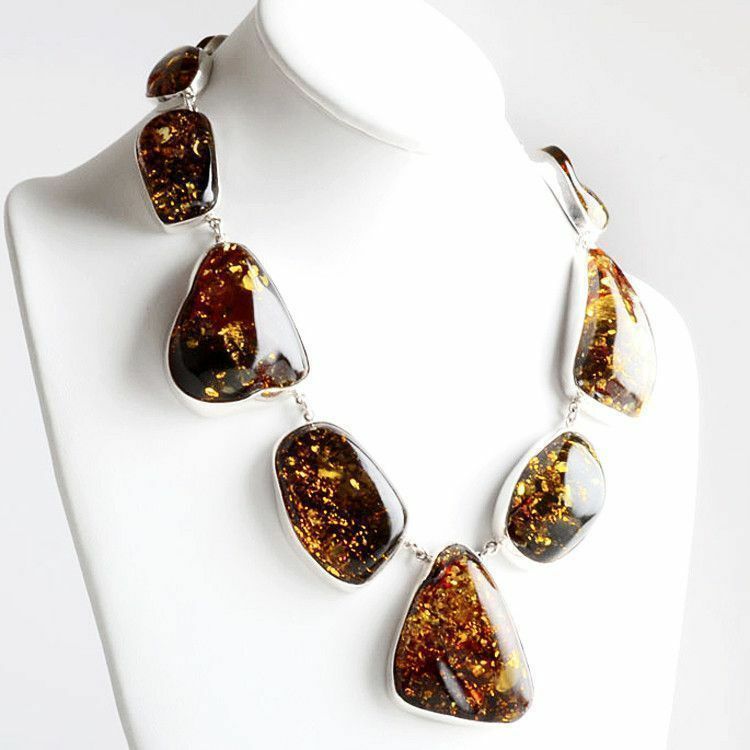 Click "More Info" for more information on this amazing piece of amber jewelry.